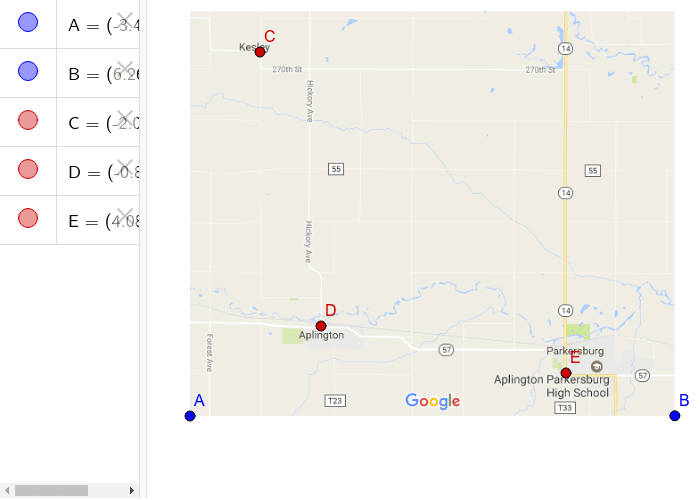 If three communities want to build a high school that is the same distance from each of the towns, where should the new high school be located? ﻿1) Add segments to create triangle CDE. 2) What needs to be found, the circumcenter or the incenter? 3) Find the location on the map for the new high school. 4) Place a point, F, on the map in the location of the new building.